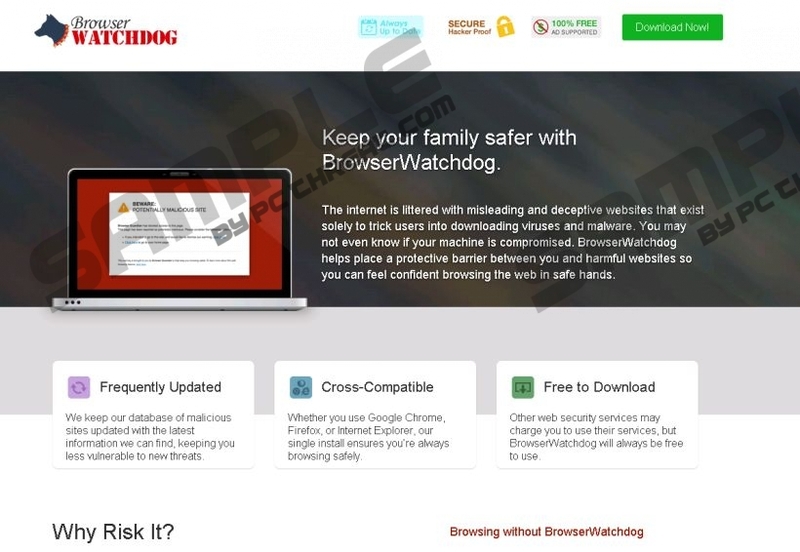 BrowserWatchdog is a browser extension that is supposed to protect you from visiting unsafe websites by displaying a warning message; however, this application may, in fact, cause system security issues. As a matter of fact, this is an adware program that does not actually do anything beneficial for you while, at the same time, making easy money for its publisher. How? This adware operates based on the pay-per-click system, which means that the more users click on the third-party ads it keeps showing, the more money the publisher gets paid. The problem with clicking on these ads is not only that you support potential criminals in their schemes, but these advertisements may also introduce you to harmful content. You should remove BrowserWatchdog if you care about your virtual security. There is no question about it. Hopefully, by the end of this article you will agree. We have found that BrowserWatchdog is actually identical to PriceHorse, Price-hipo, and Price Slayer, which are all worthless adware apps that we have already covered on our website. This adware uses the family “joker card” to make you want to download it: It promotes itself by saying, “Keep your family safer with BrowserWatchdog," and who would not want that, right? There is one thing that we definitely agree with: “The internet is littered with misleading and deceptive websites that solely exist to trick users...” Well, you can read these wise things on BrowserWatchdog’s official site at browserwatchdog.com. And we must say that it kind of feels like a description of the website itself because that is what it does: It tries to make you download their deceptive product that poses as a useful security browser extension, yet it simply spams your screen with potentially dangerous advertisements. It is also worth mentioning that the latest versions of Google Chrome already block this adware. That should tell you something about the reliability of this app! We certainly hope so because you need to understand why we say that you are better off deleting BrowserWatchdog from your PC. Unfortunately, the official website is not the only source for this infection to spread all over the Internet. It is also distributed in freeware bundles that may contain a few more other malware programs. If you are unlucky and installed the bundled version, chances are your computer is already under attack by several infections. That is certainly not good news. If you do not step up and act, these “nasties” may cause more damage than you can manually handle and you will have no other choice but to install a reliable malware removal tool to tackle this situation and protect your PC. BrowserWatchdog may collect information about you that can be used as a base for customized ads, which may seem as though they reflect your actual needs. But this is a trap. Do not forget that these ads may have corrupted links that may take you to unsafe websites. Cyber criminals might also exploit such adware programs and lure you to their malicious pages to infect your system with more malware programs or trick you into revealing precious personal details. If you delete BrowserWatchdog, you can put an end to this. Of course, you still need to be careful what kind of websites you visit and what type of ads you click on. It is time to talk about the solution. Fortunately for you, it is really easy to get rid of this annoying adware. All you have to do is find it in the installed programs list in Control Panel and uninstall it. Please use our instructions below if you have no idea how to do that. Also, keep in mind that you can actually prevent malware threats from entering your system most of the time if you stick to certain basic rules of web surfing. Click on the unwanted program and press Remove. Select the unwanted program and press Uninstall. Press Win+W and type in control panel. Hit Enter. Right-click on the unwanted program and press Uninstall. Press Win+X and access Programs and Features. Click on the unwanted program and press Uninstall. Quick & tested solution for BrowserWatchdog removal.